← Are accountants the future anthropologists of the cyber era? So you want to file your taxes online by using TurboTax, by Intuit? Perhaps you should think again. An audacious gang of online criminals have been systematically targeting TurboTax, filing fraudulent tax returns of individuals, and diverting their tax refunds to prepaid debit cards. The vulnerability of online tax preparation services became apparent last month when the Utah Tax Commission and the Minnesota Department of Revenue found thousands of potentially fraudulent returns. Those returns were filed using TurboTax, the popular program made by Intuit. 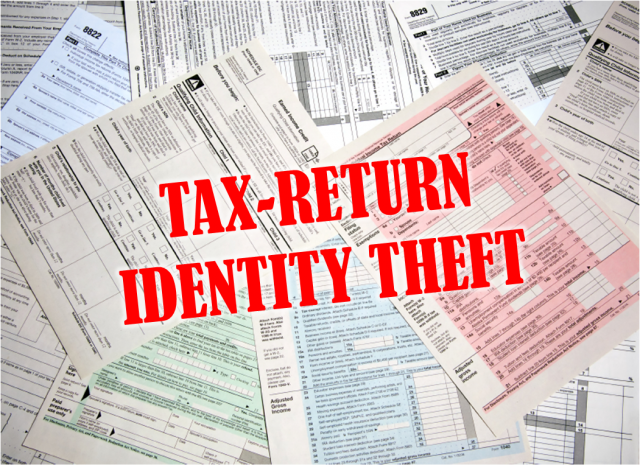 This kind of fraud associated with fictitious tax returns has risen sharply in recent years with some states seeing a thirty-seven fold increase in fraudulent returns this year. But Intuit does not immediately alert taxation authorities even after it flagged many of the returns as “suspicious,” denying its responsibility to determine whether these suspicious tax returns are fraudulent, reasoning that it could not stop fraud in the industry. “They [e.g., Intuit] can’t blame everything on the IRS. That’s ridiculous,” said Ed Mierzwinski, consumer program director at the U.S. Public Interest Research Group. An internal strategy presentation obtained by The Washington Post showed that the number of “suspicious” customers who successfully filed a return grew from about 900,000 in 2010 to about 2.5 million in 2012. About 29 million people used TurboTax last year. Tax entities have observed that Intuit and its rivals in the self-preparation software business — H&R Block and Blucora, the maker of TaxAct — do not have a financial incentive to erect the strongest possible security protections for consumers. Such steps can make accessing accounts less convenient. Indeed, many Americans will not discover that they have been victimized until they attempt to file returns in the coming weeks. And after they report the fraud to the IRS, it could be at least six months, if not much longer, before the agency is able o verify their identities and issue their refunds. They are also often required to file their tax returns through paper. In addition to the considerable delay in obtaining a tax refund, another concern resulting from hackers gaining access to one’s account on TurboTax is their access to one’s personal information, and the impairment of one’s credit rating. So do you still want to file your tax returns using TurboTax ? LOL! This entry was posted in Accountants CPA Hartford, Articles and tagged credit rating, fraudulent tax returns, hackers, Internal Revenue Service, internet security, Intuit, Julie Magee, Minnesota Department of Revenue, online tax filing, personal information, scammers, Shane MacDougall, tax fraud, tax refunds, tax refunds stolen, tax-return identity theft, TurboTax, TurboTax accounts hacked delaying tax refunds compromising personal information impairing credit rating, TurboTax fraudulent filing, Utah Tax Commission, whistleblower compaint to SEC Intuit Turbotax. Bookmark the permalink.